As I've mentioned many times, having extra resources available to your DM is only ever a good thing, in my mind. Most groups don't have 6-8 months between games like my group does. So the DM has to be more-ready for game. Sometimes that doesn't happen. That's where pre-generated material can really help. And that's where Game Night Packs come in. They're up on Kickstarter now. 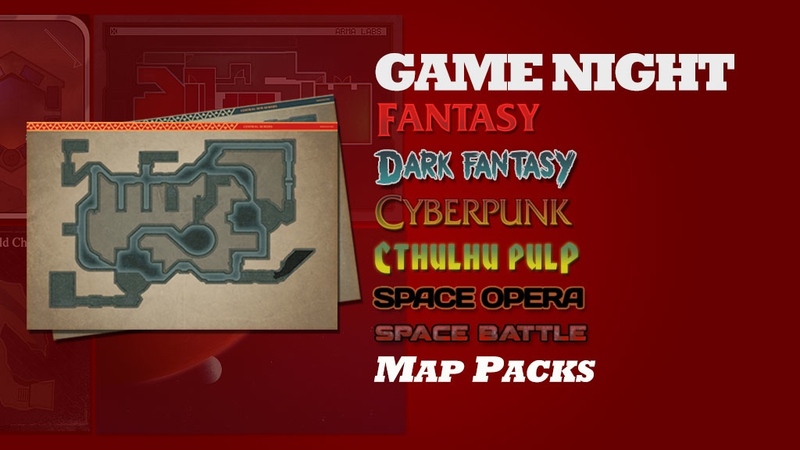 These packs are more than just a map, but they're less than a full module. It's more like an interesting side-dungeon that you can have your players explore on their way to other things. All you have to do as the DM is pick your map, read the 1-page dungeon overview, and drop in the monsters you want. There's even hand-outs to give your players (if you're into that sort of thing). And it's not just fantasy. There's sci-fi, steampunk, and even pulp maps available. The campaign's up and running now and is set to go for another 29 days.